As a country with every terrain imaginable, Vietnam offers a memorable bicycling adventure for any and all peddlers, regardless of experience or condition. The flat expanse of the Mekong Delta grows to rugged mountains in the central expanse and then blends into the widest variety of difficulty north near Hanoi. There are few considerations given to bicyclists, a decided lack of designated lanes is one example, and the crushing throng of traffic in some of the larger cities can seem intimidating, but then when has riding a bicycle not been intimidating? 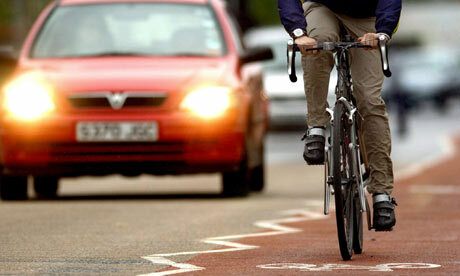 Luckily the traffic thins out everywhere else and a single rider will often find themselves peddling alone. Along with standard laws like not causing traffic problems by racing or zigzagging, Vietnam has few laws targeted specifically toward the bicyclist. It is important to remember not to carry cumbersome loads, carry children over age seven with you or ride more than two abreast. No sort of helmet or lighting is required, but bicyclists are not allowed to ride with open umbrellas. One can only guess what happened to make this law. There are some routes that will take you through the backcountry while providing some modicum of modern amenities, or the option to rent a bicycle for a short time lends itself to impromptu day or overnight trips. The easiest of these is around the Mekong Delta. With a terrain nearly devoid of any rise, these trips are easier, but by no means less scenic, than the others. Traveling through the expanse of rice paddies dotted with the occasional copse of trees, the rider will be joined by children cycling to or from school or women returning from the market. People in the villages will be pleasantly surprised to see a foreigner riding into town and a circuit from Ho Chi Minh to any of the surrounding villages is an easy ride. With the flat terrain and abundance of villages it is easy to take a trip of any length, whether only a day or two weeks, a rider can tour without backtracking. The northern area allows for more wooded scenery while still allowing for easier trips. For the more bicycle adventurous, the northern area provides a greater degree of difficulty through the hills surrounding Hanoi. A typical trip would be a tour from Hanoi to Hoa Binh to Ninh Binh and then to Hanoi; an intermediate trip of about 200 km on good road conditions. A new trip for the adventurous would be along the historical Ho Chi Minh trail. The Vietnamese government recently finished building a highway connecting north and south Vietnam that runs roughly the same track the Ho Chi Minh trail did. Traffic is light and the people who live in the mountains hospitable. This is an intermediate trip lasting multiple days. Weather in Southeast Asia is a big consideration and it is recommended to go from Late September to December or March to late May. The weather in the southern area of Vietnam stays warm and humid averaging 26°C with its rainy season from June to September. BE WARNED: Vietnam sees monsoonal rains starting in June, peaking in August and tapering down in September. This season varies depending on location; Hanoi in the north generally has a rainy season that peaks earlier while Ho Chi Minh City may not see its rains slack until early October. Vietnam, especially central Vietnam, often floods and can hold up a trip for a week before the waters recede. The hot season will see temperatures averaging 30°C, with the south staying warm all year round and the north seeing winter trends averaging 15°C. Depending on the time of year, it would be advisable to take a jacket to keep off the chill, especially if riding in the highlands, and a hat to protect against the sun. Visas must be applied for at least six months prior to entry date. Tourist visas are granted for one month, but may be extended after arrival in Vietnam, and only allow one entry into the country. 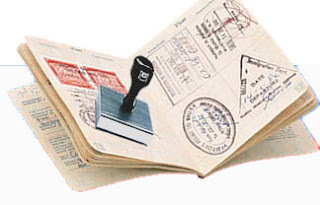 Tourists must fill out arrival/departure papers and declaration papers, keeping both with the passport at all times. It is also recommended having a few extra passport-size photos with you as local authorities may request these and it is always a good idea to stay on the good side of authorities. With over two-thirds of its roads unpaved and those paved roads sporting an abundance of potholes, the road conditions almost require a mountain bike. Most hotels, cafes and GHs will rent bicycles while also providing fairly dependable service options at the same time. Expect to spend about $20 a day renting a bike, or see your airline about their rules for taking your own with you. The lush landscapes and warm hospitality provide anyone with a good biking tour of Vietnam. Take the time to look around and smell the proverbial “roses”.